Vietnamese-style crawfish may be a national phenomenon, but its roots are right here in Houston. A bowl of goodness from Crawfish House in Chinatown. 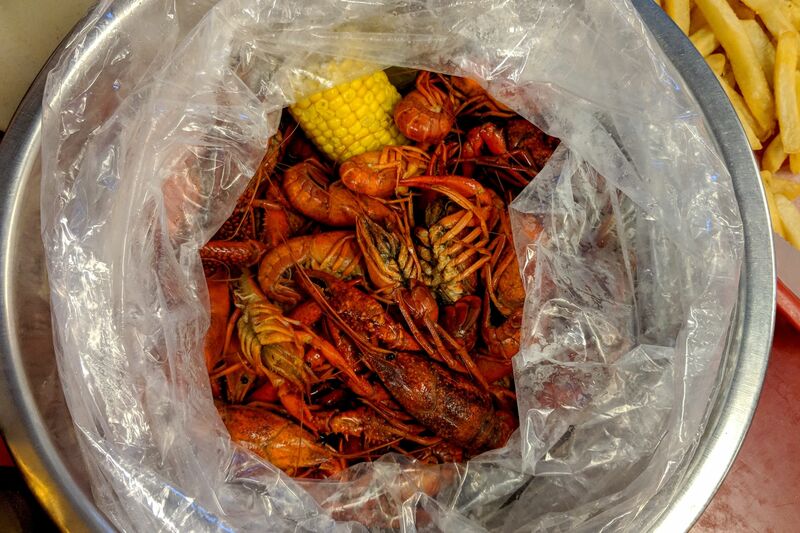 At the new LA Crawfish on Richmond—the first restaurant of its kind inside the Loop—the crawfish and the buttery seasonings are mixed together in a clear plastic bag. I got the “spicy” heat level and a combo of garlic butter and Cajun flavoring on mine—they were much more flavorful than the watery ones you get at many Cajun restaurants: a coating of cayenne and garlic stuck to the tail meat, and the butter dip added a richness that made them taste like little lobsters. There are delicious Vietnamese crawfish joints all over town. Here are ten of them. As I dug in, I noticed four businessmen in dress shirts and ties preparing to begin their lunch. One guy glanced over at me and noticed my stylish attire, then went up the counter and requested a plastic bib of his own. Vietnamese crawfish aren’t only messy, they’re so spicy that some customers wear plastic gloves for protection. The crawdads here taste just like the ones served at the original LA Crawfish (this LA stands for Louisiana, not Los Angeles) inside 99 Ranch Market, but the clientele is different. 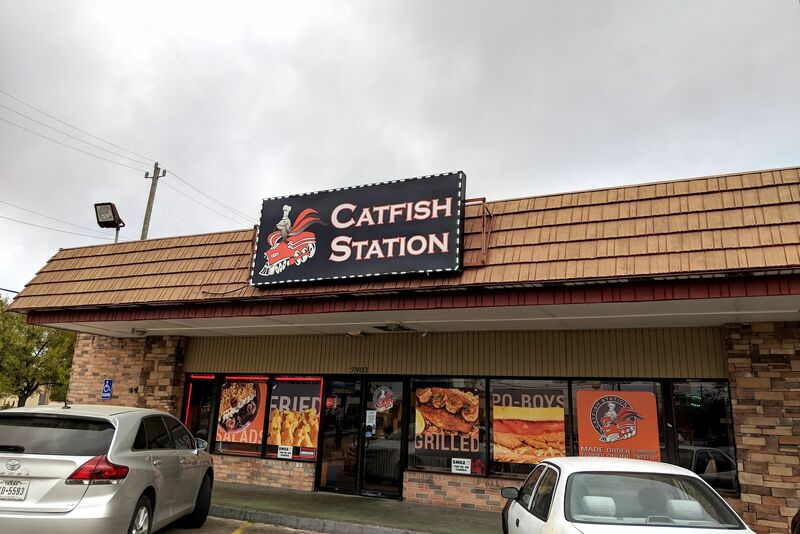 Sitting around the picnic tables in the corrugated-tin dining room decked out with neon beer signs sat the most diverse crowd I’d ever seen at a crawfish shack, all swabbing their greasy lips and orange fingers with rolls and rolls of paper towels. 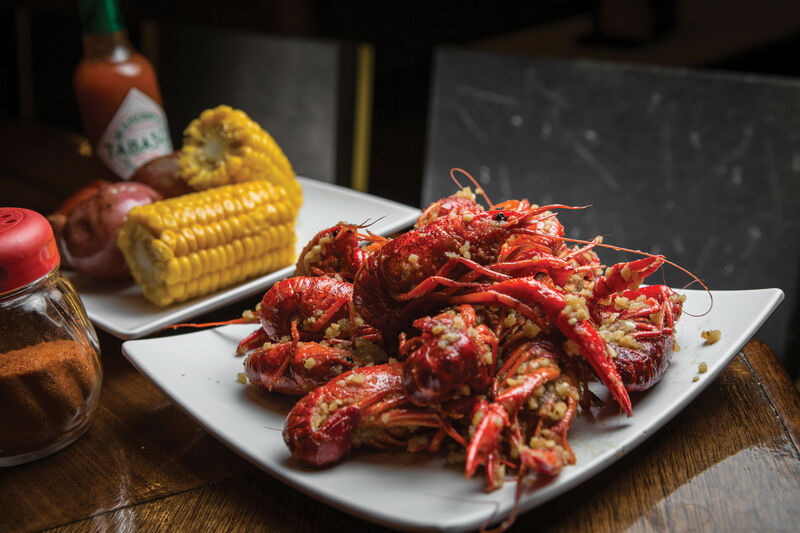 The Vietnamese crawfish craze, which has taken off in Asian communities in Atlanta, Boston, and many California cities, has gone mainstream here in Houston—which makes sense. It started here, after all. But not everyone knows that. 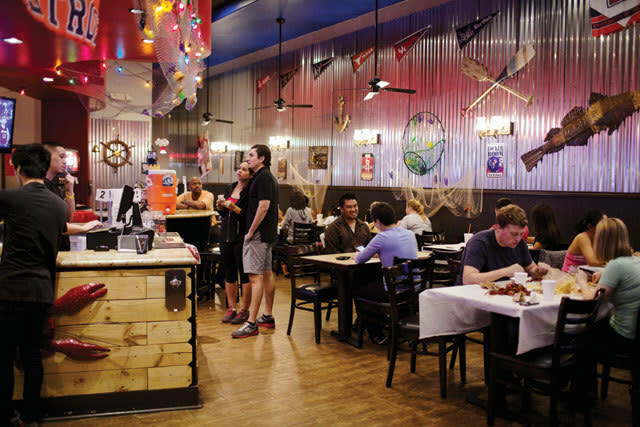 LA Crawfish’s new inner-loop location in Greenway Plaza. Back in 2008, I was perplexed by a Los Angeles Times story that claimed the trend began with the Boiling Crab restaurant, which opened in Orange Country in 2004. My earliest memory of Vietnamese crawfish goes all the way back to 2002, when I wrote a story about the Hong Kong City Mall, where, to this day on Saturday afternoons during crawfish season, long tables in the middle of the food court are topped with mountains of crawfish and large groups of mostly Vietnamese diners sit around eating mudbugs, drinking beer, telling jokes, and whiling away the afternoon. Two stalls in the food court, one called Crawfish & Beignets, the other Lucky Number 9, sell boiled crawfish by the pound and have condiment stations where diners create elaborate dipping sauces. On my first visit, when I asked for beignets at Crawfish & Beignets, the lady behind the cash register, Louisiana transplant Maria Tran, told me she no longer sold beignets, gumbo, or anything else on the menu, because nobody ordered it. The only food for sale was crawfish by the pound with optional corn and potatoes. Those aren’t the only Vietnamese crawfish outlets that were already here in 2002, either. There’s also Cajun Corner in Alief, where the original owner, Quon Nguyen, sold crawfish fried rice and Vietnamese noodle soups along with the boiled crawfish. When Nguyen told me she’d worked in a restaurant in Louisiana before she moved to Houston, I thought she meant she worked in a Vietnamese crawfish restaurant there. 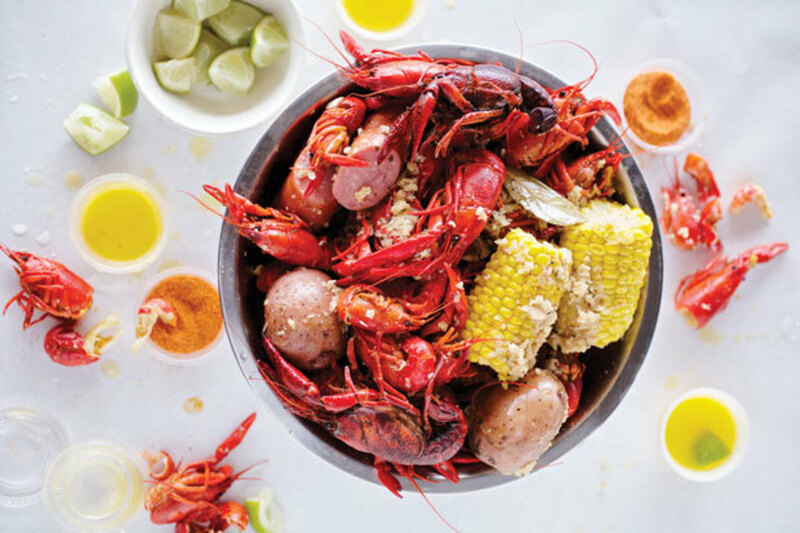 Recently, however, I called up a few Louisiana food writers to ask them about it, and they all said they knew about the Vietnamese crawfish restaurants opening around the country but had never seen such a place in the Pelican State. “I have been waiting for a decade for the first Vietnamese crawfish restaurant to open in Louisiana,” said New Orleans food writer and historian Rien Fertel, “but it hasn’t happened—as far as I know.” Which means that the Vietnamese crawfish restaurant phenomenon started here in Houston, the city where food trends from all over the planet learn to adapt to American retail reality. When the Louisiana crawfish boil met the Chinatown strip-center restaurant, a new, easily cloned hybrid was born. Vietnamese crawfish is spicier and a lot more flavorful than the Cajun variety. The liquid is usually old-fashioned Cajun boil, with lemongrass stalks and other aromatics added in. But it’s the Vietnamese preoccupation with sauces and flavorings that really distinguishes it. Back in 2002, at Cajun Corner and at the food court of Hong Kong City Mall, I was fascinated to watch Vietnamese customers create their own dips. I’d eaten a lot of crawfish in Louisiana, but I’d never seen anyone dunking them in anything. At the Vietnamese joints, some customers used lime wedges, salt, and pepper mix to make the traditional Vietnamese dip called muoi tieu chanh. But the kids more often used squeeze bottles of ketchup and mayonnaise, Louisiana hot sauce, and ground cayenne to make a hellish sort of cocktail sauce. And that was only the beginning. Vietnamese crawfish continued to evolve. 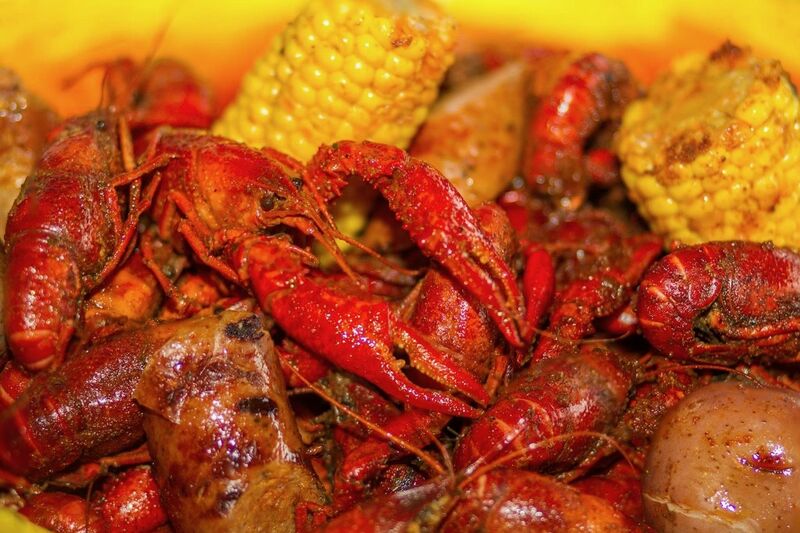 At Hank’s Cajun Crawfish on Bellaire, owner Tony Bu put the crawfish in clear plastic bags and tossed them with hot margarine flavored with lots of dehydrated garlic and additional spices of your choice, a preparation that may have started in California at the Boiling Crab back in 2004. A few years later, Trong Nguyen, owner of Houston’s Crawfish & Noodles, upped the ante by using expensive French butter and fresh garlic. Today, Cajun Kitchen in Bellaire Chinatown is taking the trend to another level by offering crawfish cooked in exotic Thai seasonings. Houston has become a hotbed for new food trends because the city’s cheap retail space makes it easy for small operators to try something new—and because adventurous diners are eager to devour any sort of deliciousness from any corner of the globe. The wilder, the better.